Tony Spera is the director of the New England Society of Psychic Researchers (NESPR). He’s been a ghost hunter and paranormal researcher for more than 30 years. 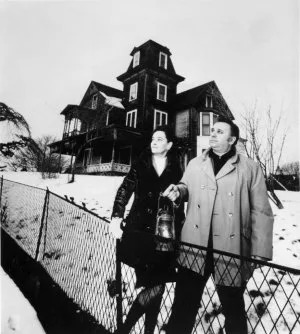 He worked with and was trained by Ed and Lorraine Warren, the preeminent experts in the field of spirits and demonology and the people portrayed in The Conjuring movies. They also happen to be Tony’s in-laws. 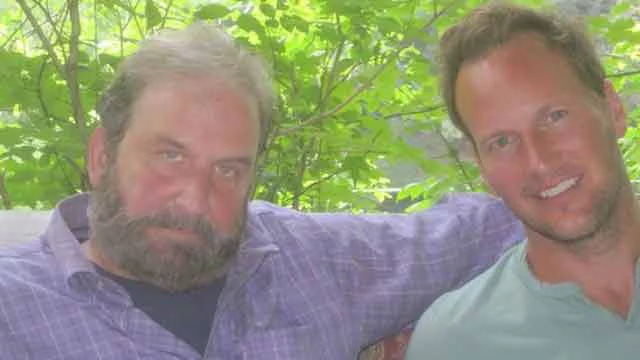 When FrightFind spoke with Tony, he talked about how he met the Warrens when he began dating Ed and Lorraine’s daughter, Judy, and what it was like working with them all those years. 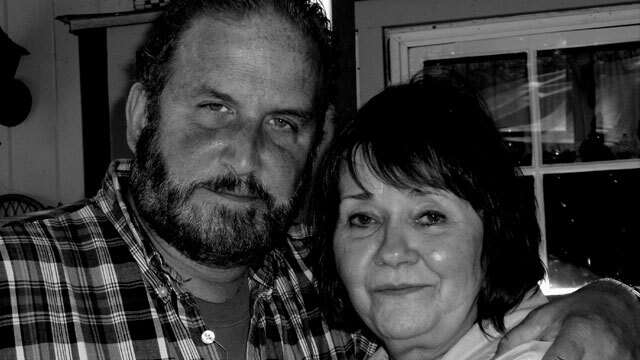 FF: Did you know Judy Warren’s parents were paranormal investigators when you began dating? Tony Spera: No. After we’d been dating about a month she invited me to attend a lecture her parents were giving at the University of Connecticut. I asked her if they were professors, which I assumed they were, but she told me they were ghost hunters. I was dumbfounded. But I was also intrigued. I’d always been interested in the occult and had studied astrology when I was a cop. So when I heard Ed’s lecture I was really interested. And that’s when I began to get to know them and got to ask lots of questions about what they were doing. Ed was a real cool dude. Lorraine would invite me to dinner, so Judy and I would go over and I would pick Ed’s brain. I’d say, “Ed, tell me all about this ghost hunting stuff,” and he would get into it. 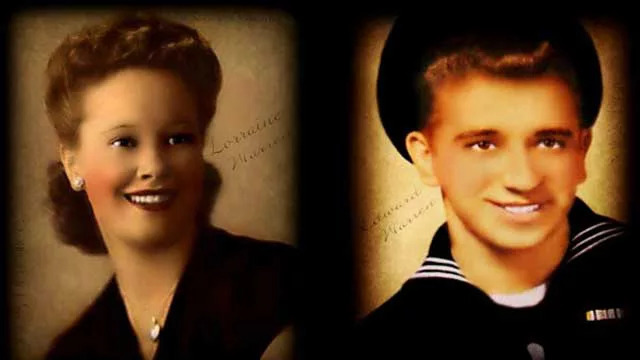 As we spent more time together, Ed and Lorraine would tell me all these stories about the many ghost adventures they had been on together. The more I heard, the more interested I got. I was fascinated by all this stuff, so one day I got the nerve to ask if I could go on a case with them. I told Ed I wanted to be involved and he said “sure.” He then started taking me on investigations and to lectures with them. And that began my real education on the supernatural. I began working with them from then on. Sometimes we would do lectures five days a week, and I learned so much through the lectures and the Q&A periods afterwards when people would ask all these crazy questions. Ed would answer them all and I would learn from that. Then we’d go on cases I would learn on the job. And that’s how I know them and how I know all this stuff today. FF: So you’re continuing the Warren’s paranormal work? TS: Yes. I worked with them for about 30 years, and now I’m here to teach and impart knowledge I happen to have about the supernatural. All that started from working with them. 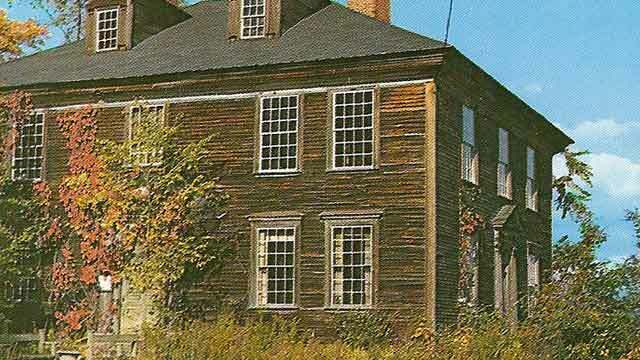 But the Warrens started back in 1952 when they formed the New England Society for Psychic Research. 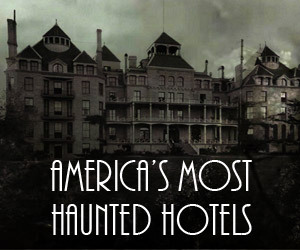 Back then, of course, there were no ghost shows, no Internet, no clubs of ghost hunters and psychics. Hardly anything was out there. 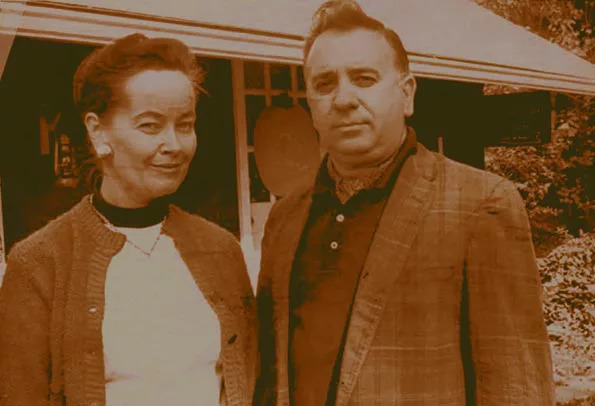 But Ed was an avid ghost hunter because he lived in a haunted home from age 5 through 12 in Bridgeport, CT.
Tony Spera with his wife Judy Warren, the daughter of the Conjuring’s Ed & Lorraine Warren. FF: Ed grew up in a haunted house? TS: That’s right. He was raised in a haunted house with twin sister, Babe. They both experienced strange phenomena and were so frightened sometimes, especially Ed. He saw so many things, and often when he was alone in the house, that it got to the point when he didn’t want to be there alone. He told me that when he was 6, 7, 8 years old that when he came home from school in the winter if the lights were off it meant no one was home yet. But he was so scared that he would wait outside in the freezing weather and hide in an abandoned vegetable cart until someone got home and turned the lights on. And then he would go in. He had so many strange and scary experiences in that house. The closet door in his bedroom would open and he’d see the face of an old hag with white hair peering out at him. Or he would hear footsteps at night coming upstairs, or the noise of a cane on a wooden floor. These were very frightening things to happen to a young boy and his sister. He and his sister would just hide under the covers in fear. TS: But how he would approach them is pretty unique. He wouldn’t just walk up to somebody’s house and say “Hey, I heard your house is haunted. Can I come in and talk about it?” He didn’t do that. He had a better way. Ed was an artist, a painter. He went to art school for two years after he got out of the navy and he got good at it. But he ended up quitting because he said he knew more than the instructors and could paint better than them. Ed was a cocky guy, you see. He would paint these nautical scenes, New England barn scenes, and other stuff. He would also paint haunted houses. Often these were visualizations of what he thought the haunted houses featured in Fate magazine looked like. So he and Lorraine would take this 1933 Chevy he bought for $15 and drive all over New England looking for these haunted houses he read about. When he found one he would sit in front of it in the car and sketch the house in pencil. It would take about 20 minutes. Then he’d give it to Lorraine and she would go to the door and say her husband made a nice sketch of your house that he’d like you to have. And nine times out of 10 times they would be invited in, thanks largely to Lorraine and her Irish charm. She would wave at Ed to come on up to the house and then they’d go in and interview the people. He’d ask if this was the house he read about in Fate magazine and then the conversation would get rolling. He would learn about their hauntings and hear their stories, and compare it to what he experienced as a kid. This helped confirm what was in his mind was real. After they had done this for a year or so, Lorraine tells Ed, “You know, I don’t believe in any of these ghosts. You guys are all just reading the same books.” And Ed says, “That’s because you didn’t live in a house like I did growing up. You don’t know what it’s like to live in a haunted home.” This was a big moment for them. You see, at that time, Lorraine was a psychic, but she didn’t believe in ghosts. In fact, she assumed everyone had psychic abilities like her. When she was nine years old she was attending a Catholic girl’s school called Laurelton Hall in Connecticut that was run by nuns. One day she’s standing in line with some other girls and says to a classmate, “Hey, look at Sister Josephs. Her lights are brighter than Mother Superior’s. She was talking about the aura around their body. She didn’t know what an aura was at that time, but she could see it. And she thought all the other girls could too. She didn’t think she was anything special. She’s young, figures everyone else sees them. Mother Superior overhears this and calls Lorraine aside and tells her she’s staying after school today to pray and that she shouldn’t be talking about those kind of things. So as a girl Lorraine was nervous to tell people she had this ability. Even when she was 16 or 17 years old she wouldn’t even tell her parents. 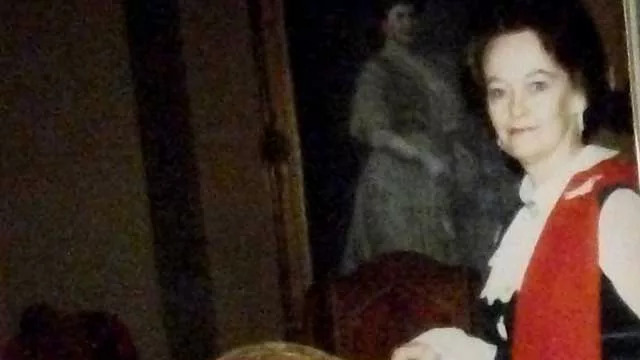 Then, when she was about 21 or 22 (she and Ed were married when she was 18) she started going to these places with Ed as he was getting really involved in checking out these hauntings. Lorraine was more of a spectator then. But one day that all changed. TS: On one of their trips, Ed said, “I’m going to bring a legitimate psychic with me.” He goes in the house with Lorraine and this psychic he invited. They’re walking around the house, talking to the family, and the psychic starts explaining what she feels is going on in the house, what happened. At one point, Lorraine stops Ed and says, “That psychic is not telling the truth. She’s not right. She’s incorrect.” Up to that point, Ed didn’t even know his wife was psychic. She didn’t tell him. But mostly because she didn’t think she was psychic at that point. So, Ed says, “What the heck are you talking about, Lorraine?” She says, “No. This is really what happened.” And she explains to him what she thinks happened in the house. The wife of the family hears this and tells Ed, “Your wife is right. That psychic was way off base.” That’s when Ed first had the inkling that his wife had psychic ability, from that encounter right there. Ed knew that was going to be invaluable going forward. Because now he could just ask Lorraine, “Is there a spirit here?” and she’ll know. That’s how the team actually was formed. He studied devils and demons and haunted houses all his life. She was a natural psychic who developed more and more ability as she went on these cases. She became more and more attuned. It’s like a cop goes on a burglary case for the first time. He’s not attuned to anything or how to investigate it or anything. But, you go on a thousand cases, you start to be an expert. You get that ability, that sense. That’s what happened to her. She naturally developed that psychic ability by going on all these cases with Ed. FF: That’s fascinating. I knew they were a team, but I assumed it was because they were aware of each other’s skills ahead of time. TS: Yeah, it was a perfect storm. She didn’t believe in ghosts, at first. And Ed wasn’t aware of her psychic ability. Ed didn’t even know what the word clairvoyance meant at the time. But he soon learned. 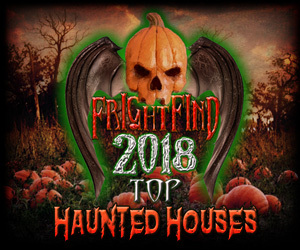 In about 1949, they are taking a trip to Henniker, New Hampshire, to investigate a haunted house he read about called the Ocean Born Mary House. They track it down somehow and Lorraine goes to the door and charms the caretaker, a man named Mr. Roy, into letting them in to look around. FF: Sounds like a punch line! What happened to Lorraine at that moment was felt a jolt to her back and shoulders as if somebody hit her, and suddenly she was out of her body. She had an out of the body experience and was floating up to the second floor looking down at Mr. Roy and Ed. When she explained this moment to me, she said, “For the first time in my life, I didn’t fear death anymore. I knew there were two separate entities, body and soul. I was looking down at my own body staring straight ahead and I saw everybody and I saw Ed talking to Mr. Roy. Then, suddenly, boom! I was back in my body, just like that.” That was the first time that she had an out of body experience. FF: Wow! I’m sure Ed became a believer in her abilities then. TS: That’s right. Yeah. Ed suddenly became a believer because then he knew. He knew that Lorraine had the gift. That is so invaluable if you’re an investigator of the paranormal, especially haunted houses, when you walk into a house and people are saying, “Hey! There’s a spirit in this house and it’s pretty bad! I have something going on in here!” A normal person like you or me, the only way we’d know is by doing a lot of investigating to see what kind of phenomena we can come up with. But at that point, all Ed would need to do is look at Lorraine and say, “Lorraine, why don’t you walk through the house and tell me what you feel.” She’d walk through the house and she’d say, “Yeah. There’s a spirit here, but it’s not demonic, it’s human.” Or she’d say, “There’s something very dark here. There’s something bad here. There’s something evil here.” And Ed would know that was right and that she’s telling him the truth. That’s the great part about having a psychic come along on every case with you. FF: No kidding. So, Tony, based on that, did they believe, and do you believe, that psychic abilities are simply a gift some people have and others don’t? Do you think it’s possible for people to develop the skill or learn it if they were to immerse themselves in it? TS: I think everybody has a modicum of psychic ability. There’s levels of it, just like there’s levels of intelligence. There’s low intelligence, or low IQ, and people with very high, naturally intelligent people where their IQ goes off the chart. Well, with psychics, the same thing. You have psychic ability, and so do I, but it’s very, very untrained and it might be very, very small. Whereas, a true psychic might have a lot more where they could really tune in to things easily. There’s psychics on TV, there’s psychics all over the place, that you go, “Wow! They’re great.” But are they great? Are they making stuff up? Are they cold reading people? What are they doing? I’ve met a lot of psychics who did not impress me at all. But, Lorraine impressed me. And, remember, she may only have like 10% more psychic ability than us, but that’s enough to put her over the top, where she could sense things that we can’t. 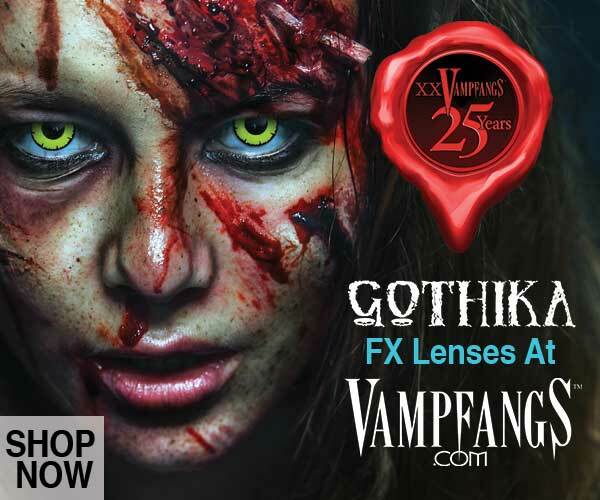 If you practice it, train yourself, like Lorraine did by going into the haunted houses, it just naturally gets better. FF: I would imagine she wasn’t afraid of it either at some point. FF: So she thought she was doing some good and she could push forward through it? TS: Absolutely. That’s the only reason they did it, to help people. FF: How is Lorraine doing now? TS: She’s doing okay, but she’s almost 90 and she’s frail. She has memory issues, so it’s very difficult for her to talk in depth about certain cases now, even though she may remember some of it. It’s hard for her to gather enough thoughts and verbalize it. Read part 1 of our 3 part interview with Tony Spera where he discusses the upcoming film The Conjuring 2. Great interview. Sad to hear that Lorraine is getting up there in age, but she’s had a full life from what you read. Would love to someday make it to their Evening with Annabelle. 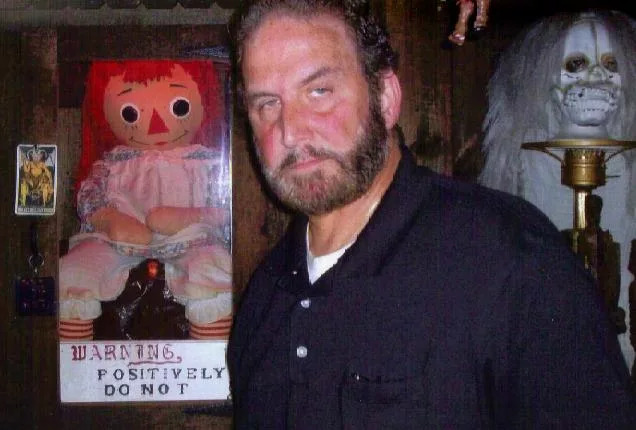 That doll freaks me the $#@!#$ out! Excited as heck to see Conjuring 2. The first one scared the heck out of me. Hide and clap! is all I can say. I was wondering if paranormal abilities are in inherited within families?? Thanks for the question. There are arguments that go both ways saying that paranormal abilities, or psychic abilities, can be hereditary . I lean toward believing that they can be. However, if they are hereditary I’d expect them to be like having the “twins gene” but more rare. From the interview with Tony Spera, we learned that he believes that everyone has some sort of ability, but to what degree is the difference. And then on top of that, even recognizing that you have the gift is not a guarantee. A great interview it’s good to read how thay started and their way of thinking . Hope Tony carries on their legacy . I saw the movie on this true story and I’m interested and loved it.